Rage Face Love Story is a unique puzzle game by Italy Games. If you have a bad mood and want to make some fun, you could express your rage and anger about getting rejected in Rage Face Love Story game. For the rage boy, life couldn’t be worse , until a sudden return of his old girlfriend after a mysterious disappearance years ago. Your objective is to help the rage boy win his troll girlfriend back and propose to her. 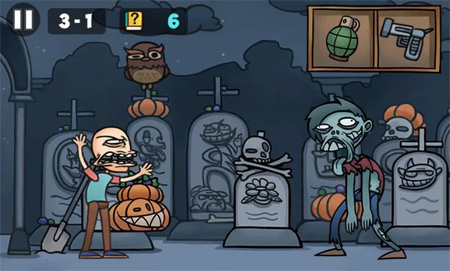 The game features rage comic characters with funny cartoon faces like internet memes. Uncover secrets and solve the prank puzzles in over 45 manually designed levels. If you get stuck in the game, check out the video walkthrough for the game. This entry was posted in Android Games, iOS Games, Mobile Games, Walkthrough and tagged Rage Face Love Story Answers, Rage Face Love Story Cheats, Rage Face Love Story Gameplay, Rage Face Love Story Guide, Rage Face Love Story Halloween, Rage Face Love Story Hints, Rage Face Love Story Reviews, Rage Face Love Story Solutions, Rage Face Love Story Strategy, Rage Face Love Story Tips, Rage Face Love Story Walkthrough, Rage Face Love Walkthrough by Marvin. Bookmark the permalink.